So far the styleguides have been either fast or dirty but for now we keep it slow and travel the countryside comfortably. Starting the engine, sit on the chopper bike and depart to sunset with the engine growling below you is your definition of motorcycling? Then have a look at the coolest Choppers that are for sale. Comfortable seating and few gear changes define the theme. What is the first name in your mind when you hear “Chopper”? Right, Harley Davidson. 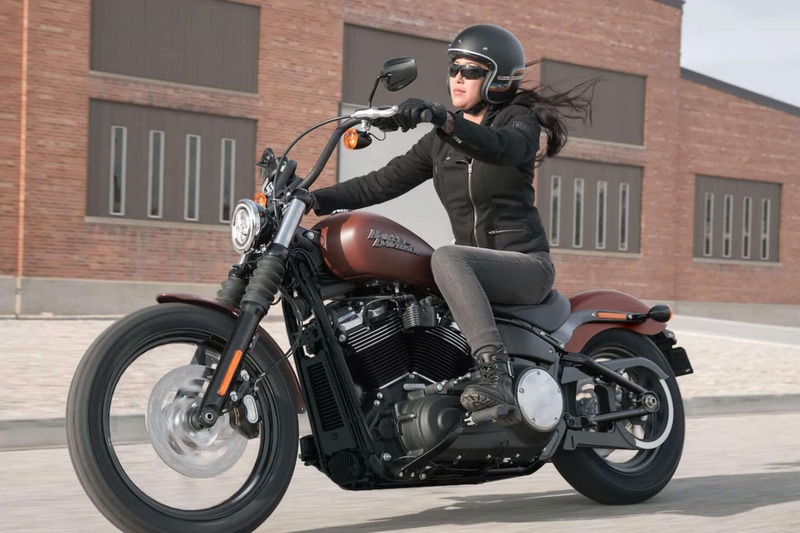 We cannot cover all models of the Street, Sportster, Softail and Touring series Harley Davidson offers – they are just too many. We chose on all-time classic with chopper genes: Street Bob. With 86 bhp it is powerful enough for easy cruising but 286 kg might be a challenge at some point in time. The smaller and lighter Sportster models might be an alternative – the sound is just right anyway! Just in the very first article I mentioned the older but less famous brand from the US: Indian. Classic styling is a big thing for the people at Indian but might be interpreted in a more modern way then at Harley Davidson. The Scout is the smallest model – if small is the right word to describe those bikes. It is comparable with Harley’s Street Bob and offer some bhp less (75) but also features a weight of just 256 kg. With these specs it fulfils anyone’s dream of getting from A to B in style and smoothly. 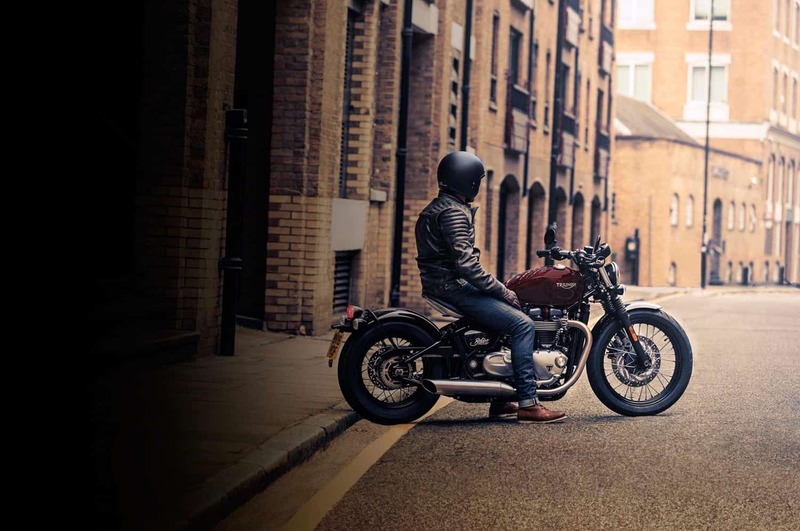 Last but not least one of the newer players in the chopper game – Triumph Bonneville Bobber. 77 bhp at 240 kg qualify it to play with the more famous Americans. With front and rear wheel in the same sizes it strictly follows the definition of a bobber. The modern and strong engine is matched with a very solid suspension that allows cornering much quicker than you would ever expect from the looks. It directly became one of Triumph’s top sellers! After you worked your way all through those bikes you just have to decide with dealership you’re aiming at and get one of those beauties for you and your upcoming tours. I will present some nice trips for you in the near future.